Does Health Tech Innovation Reward Early Adopters? 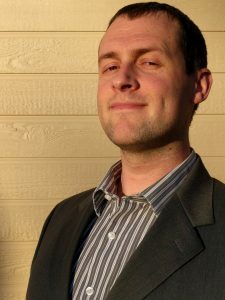 Guest post by Edgar Wilson. T-Mobile recently became the first cell phone carrier to offer free inflight Wi-Fi (in support of Wi-Fi texting, as cellular signals are still not yet allowed) to all its customers. Admittedly, this was technically on the strength of partnering with a third-party platform, Go-Go, but the carrier gets the glory of being first among its big four peers to take even this step. Being first hasn’t lost its luster yet, even in a time when consumer expectations are sometimes a generation or two ahead of current technology. Hospitals and their leadership recognize this, and so, despite uncertainty on everything from insurance market regulations to the future of EHR integration, many are taking strides to do as T-Mobile has done — and find a way to get there first on a variety of issues important to consumers. 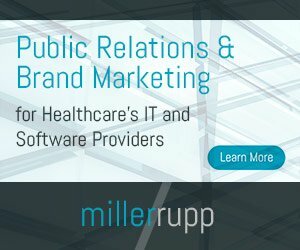 And like T-Mobile, being first doesn’t have to mean getting into the weeds of proprietary innovation and product development—although plenty of larger chains and clinics do take that route; for many hospitals, being first can be accomplished through strategic partnerships with tech-centric companies. If there is one lesson out of Silicon Valley that has entered the American zeitgeist, it is that being the first out with something can give a company, product or even team of creatives a lot of leeway in terms of going on to iterate, improve, and generally tinker. But on the healthcare front, we see how the drive to be first—or even keep pace with the rest of the industry—can create a “hurry up and wait” situation where meaningful progress sometimes lags fanfare or technology. That is why the top tech trends in healthcare don’t change much year to year; end users, hospital administrators, and tech developers are all still trying to figure out what works, what works best, and how to integrate new tools into the clinical workflow, the patient experience, and the regulatory environment governing it all. That is the story of EHRs is a nutshell: a good idea, a rush to adoption (both willing and coerced), and then a lengthy period of reiteration as all stakeholders struggle to recreate or wholistically reconsider the context in which this new system can, and should, operate. But the rush to adopt first and configure later isn’t limited to high-technology in the healthcare sector; it pretty well describes the legal environment surrounding health insurance. Industry Leadership: Being First or Being Best? From how it affects patients to what it is still trying to influence in the provider space, the conversation about care and coverage is still shepherded primarily by fear, secondarily by outrage, and in most other respects by confusion. So it looks like we’ll be shopping the exchanges for a while longer, even under President Trump’s watch. After gazing into the abyss that was Trumpcare, the still-evolving status quo that is Obamacare is more popular than ever. Here again, the power of being first seems to provide some residual sticking power to a law frequently and publicly dragged through the mud by people and organizations with at least as much visibility and influence as one like T-Mobile.